Estate-Planning Strategies for Art Explained. 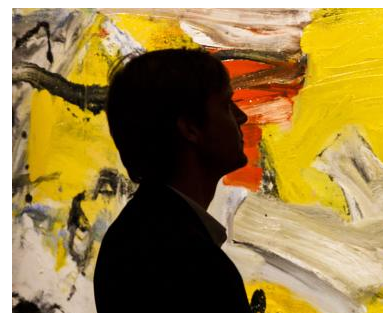 A colleague forwarded this excellent article on estate planning for art collectors today. Taxable events and options are explained particularly well! Here’s a great article from Vox this week on how the art markets parse value. Choosing a Qualified Appraiser. What to Ask, What to Know. Ideally, the appraiser should have specific expertise in the type of object you are seeking to value.They should belong to one of several professional appraiser associations who frequently test, educate and certify the competence of their members. Personal property appraisers are not licensed by the state or federal government. In theory anyone can claim to be an appraiser. Therefore it is of critical importance to review the appraisers' curriculum vitae. Determine how many years the appraiser has been practicing and if possible obtain referrals from friends, colleagues, museum staff, auction companies or attorneys in your geographic area. While it is certainly possible to prepare an appraisal based on photographs and supporting documentation, nothing can replace an expert appraiser's personal inspection of an item. This is particularly true of higher value items where determining the authenticity and physical condition is essential to arrive at an accurate valuation. Before you contact the appraiser, gather all available documentation you may have on the object including: artist, title, medium (oil on canvas, lithograph, pastel etc.) size and date of execution. Prior appraisals, invoices and a brief history of how you came to own the work are also very helpful. From a practical point of view, the more information you can provide the appraiser in advance, the less he will charge you. Cataloging an item from scratch is time consuming. If possible, have good quality digital photos of the item ready to send the appraiser in advance. Beyond the Name: Why the Subject Matter, Matters. Certainly the stature of an artist within his period is of great importance, however, equally important is the subject that the artist has chosen to depict. Almost every well known artist has an acknowledged "hierarchy of subject matter" that the discerning collector or investor would do well to study. It is this specific expertise that the qualified appraiser applies in reaching a value conclusion. For example Eugene Boudin (French, 1824-1898) was, as his Wikipedia entry states was: "one of the first French landscape painters to paint outdoors. Boudin was a marine painter, and expert in the rendering of all that goes upon the sea and along its shores. His pastels, summary and economic, garnered the splendid eulogy of Baudelaire; and Corot called him the "king of the skies". From this brief description one might conclude that a scene of a harbor or waves crashing on a beach might be just the thing to buy, and indeed the artist produced many splendid examples of these subjects during his lifetime. However, the most prized and highly valued work by Boudin today are small scale paintings referred to as "Crinoline Pictures", which depict elegantly attired women and men on the shore, often with striped changing tents in the background. The actual ocean is seldom in evidence and the sky is rarely an active element of the composition. These works trade regularly at auction in the $500,000.00 to $1,500,000.00 range. A more traditional beach or harbor scene of similar size would sell for between $50,000.00 to $100,000.00 today. Whether you are purchasing, selling, insuring or donating a work of art, a specialist appraiser can assist you in making these critical distinctions.